When it comes to your diet, the guidelines are fairly simple: eat a diet rich in fruits, veggies, whole grains, and unsaturated fat. The hard part, of course, is actually doing it! In the interest of helping you start — or continue — to eat healthily, we’ve put together a list of the benefits of a good diet. Some may surprise really you! You will be happier and less stressed. What we eat affects our brain, and certain foods can increase good hormones and/or moderate detrimental ones. A banana, which contains dopamine, is like a mind booster. Dark chocolate has polyphenol, which ups serotonin (a neurotransmitter) in a similar way as antidepressants. Foods with vitamin C, omega-3 fatty acids, and magnesium help lower the hormone that causes stress. You will maintain the weight you want — or lose if you need to. Eating a wide range of healthy foods contributes to weight loss and/or maintenance. Everyone’s healthy weight range is different, so make sure to talk to your doctor about what is best for you. You will reduce your risk for heart disease and high blood pressure. Trading junk food for fruits and veggies will lower your risk of heart disease. It will also help regulate or prevent high blood pressure — a serious and common ailment that can lead to heart disease. You will be at lower risk of getting cancer. Your lifestyle and diet affect your risk of getting cancer. Eating lots of fruit and veggies helps lower that risk. You’ll be more efficient. Eating unhealthy food puts you at risk of losing productivity. 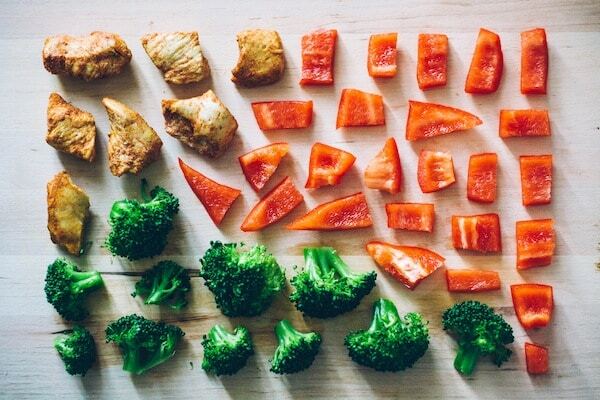 Eating a healthy diet will give you more energy and help you get things done. Still not convinced? Don’t take our word for it — try it for yourself and see how you feel!